Very clean Mantle single, the ball itself is clean and nearly perfect. 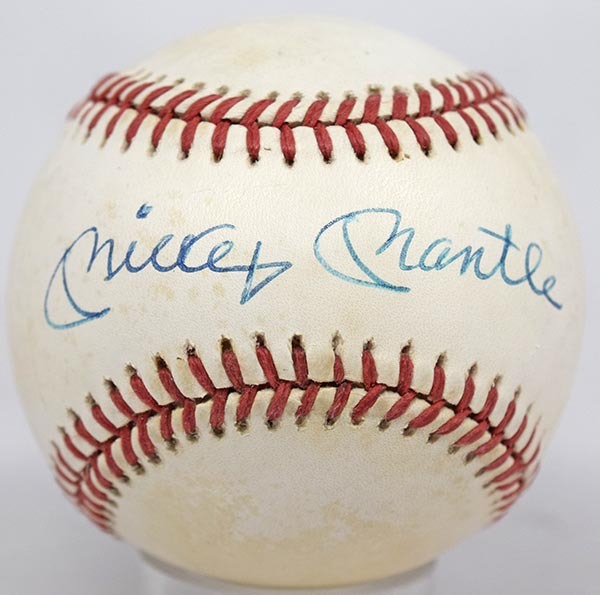 Mickey signed this on the sweet spot in bold and impeccable blue ballpoint ink, a classic exemplar. Higher grade Mantle singles have really dried up in recent years.